The first step in cheese making is to inoculate the milk with culture, then set the curd with rennet. Here’s a step-by-step breakdown of this process. 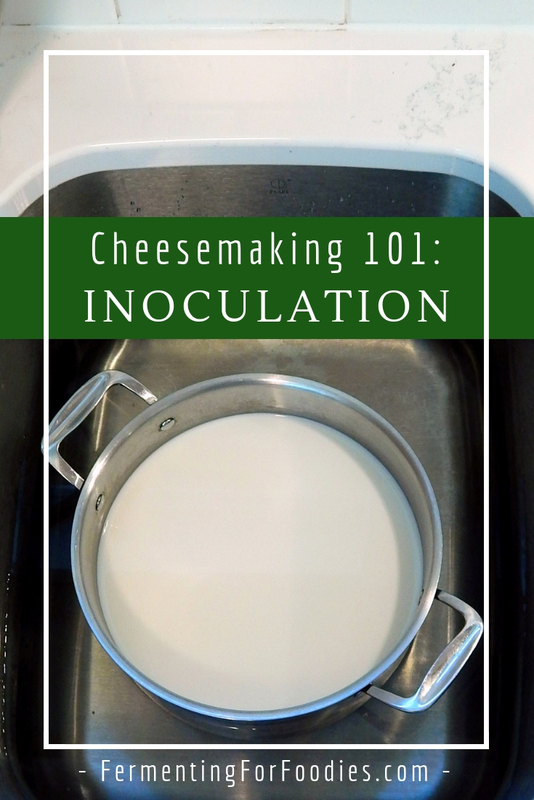 This post on inoculating milk for cheesemaking is part of a series of posts on cheesemaking. Check out Cheesemaking 101: Overview for a complete list of topics. 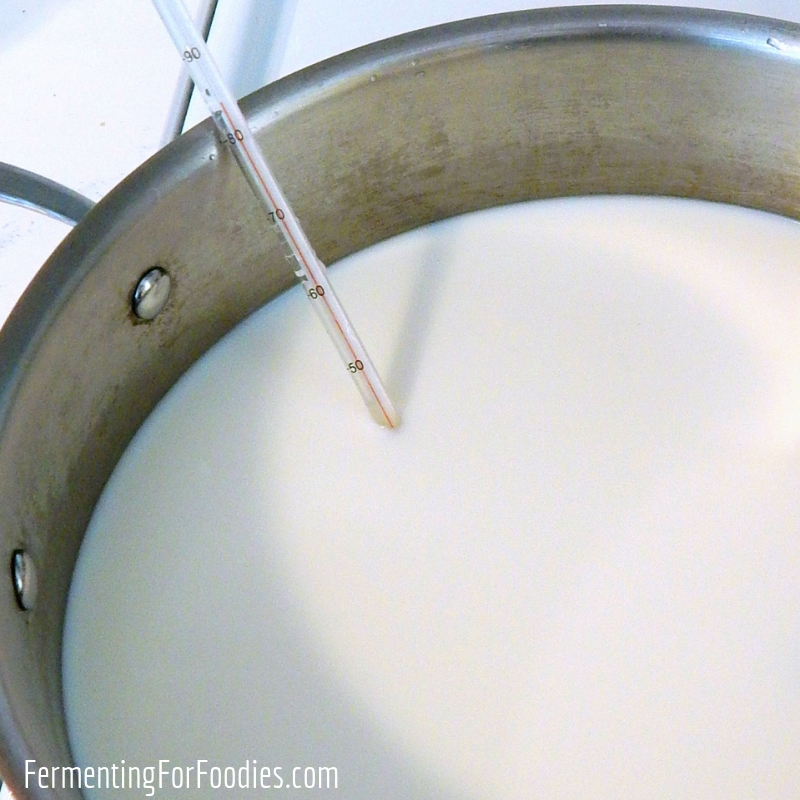 The milk needs to be warmed up to the right temperature for the culturing the bacteria. I generally do this very slowly on my stove, whisking frequently to make sure the milk heats evenly. You could also microwave the milk or use a double-boiler. Whichever way you choose, just make sure that you don’t over heat the milk, because you don’t want to denature the proteins (like you do for making yogurt). The type of milk – goats milk is heated to 88F (31 C) regardless of culture. Whether you’re using mesophilic or thermophilic culture. In general, mesophilic cultures need 90 F (32 C) and thermophilic cultures need 91.5F (33C). 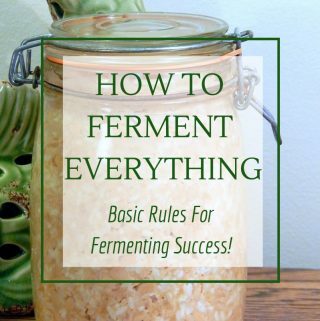 Once the milk is at the right temperature, stir in the culture and maintain the milk at that temperature while the bacterial culture digests the lactose. This is the acidification of the the milk, and it is important to achieve the right level of acidification for each particular type of cheese. 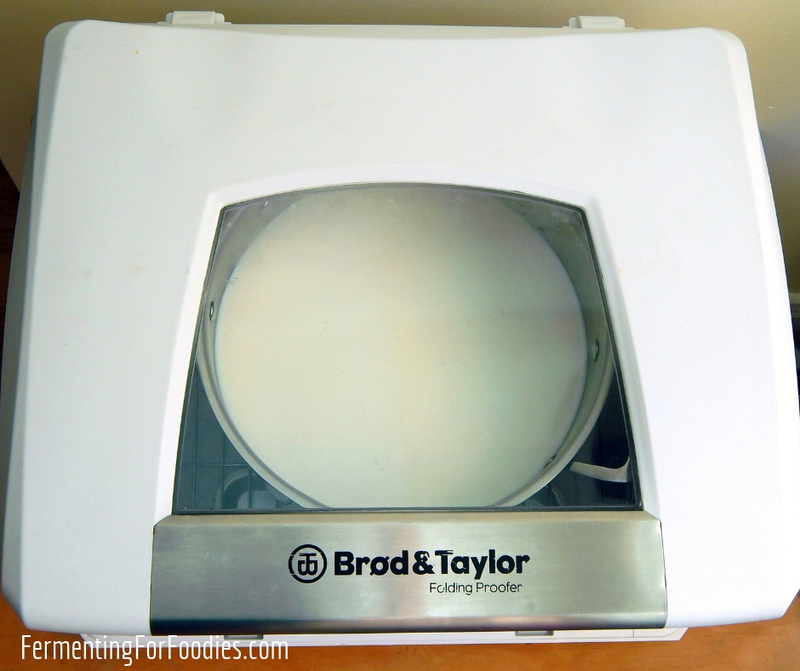 I maintain the temperature of my milk using my Brød & Taylor Bread Proofer & Yogurt Maker, but you could also use the more traditional method of nesting the pot in a basin of warm water, and maintaining the temperature by adding boiling water to the basin. See cheesemaking equipment for more info. If you are using goats milk, sheep milk or pasteurized cow milk, then you need to condition your milk with calcium chloride. Mix 1/4 tsp of liquid calcium chloride into 1/4 cup of chlorine free water per gallon of milk. Thoroughly stir into your milk about 5 minutes before you add the rennet. Mix the rennet (either liquid rennet or rennet tablet) to a 1/4 cup of chlorine free water (or as directed on your package). When the rennet is fully mixed into the water, then stir the rennet-water it into the milk. Stir thoroughly, mixing the milk up from the bottom of the pot so that the rennet is well-distributed. Continue to maintain the temperature of the milk, without stirring, while the rennet curds the milk. This usually takes about 30 minutes. For more information on cutting the curd see preparing cheese curd. Is there a typo? Is there really only one and half degrees in temperature between meso and thermophilic? Am I misunderstanding something? I know… it is weird, but not a typo. 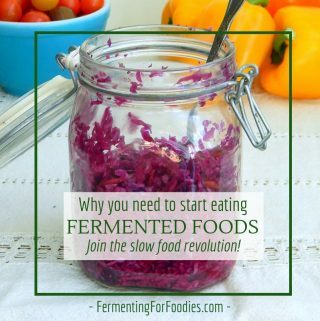 It seems to be a difference in the type of cheeses that come out of each culture more than the fermentation temperature. Italian cheeses seem to use thermophillic cultures (Mozzarella, Parmesan, Provolone, Romano), where as the rest seem to use mesophillic cultures. 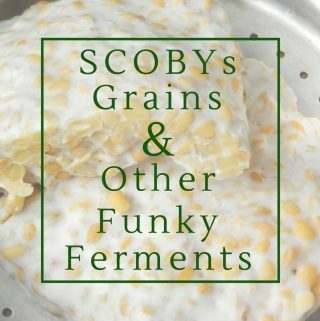 The curds usually get cooked at a hotter temperature (next step) which is more akin to the yogurt culturing temperature anyways. Interesting. So maybe it is the curd cooking temp that gives the name of meso or thermo…? if I do not have the rennet, may I use the lemon juice for curling?